One of the biggest misconceptions small business owners have is that they have automatic access to the $800,000 capital gains exemption (“CGE”) upon the sale of the shares of their corporations (Note: beginning in 2015, the $800,000 will be indexed for inflation). Nothing can be further from the truth. There are three complex tests that must be met in order to qualify for the exemption and something as innocuous as imposing a holding company (with significant cash and investment assets) between you and your operating company may disqualify the shares. Warning!!! Before I move forward, please note that I am “dumbing down this post”. You may think it complex, but I am leaving out significant issues, definitions and details to make it somewhat readable. 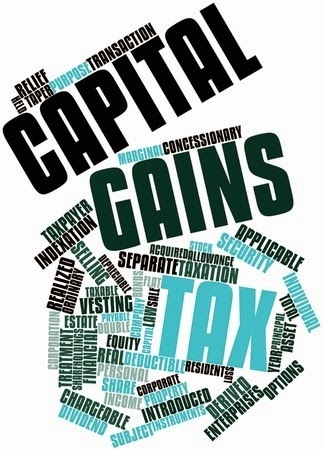 Do not rely upon this blog for your capital gains planning, use it only to gain an understanding of the issues and please contact your tax advisor before undertaking any planning discussed in this post. In fact, to emphasize the complexity of this issue and how intricate and fact related the planning is, I will not answer questions and respond to comments on this post. Sorry about that. In order to access the CGE, the shares you sell must meet the definition of a "qualified small business corporation share” (“QSBC shares”). Sounds simple, but this provision and the related provisions often prove to be a tax quagmire for many practitioners. The shares must meet three tests to be considered QSBC shares and become eligible for the CGE. At the time you sell your shares, they must be shares of a Small Business Corporation (“SBC”). 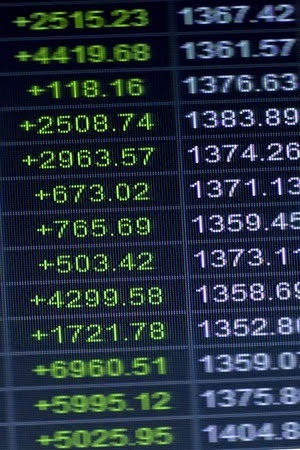 A SBC, amongst other criteria, must be a Canadian-controlled private corporation whereby all or substantially all (meaning 90% or greater) of the fair market value (“FMV”) of the assets of which at that time is attributable to assets that are used principally in an active business carried on primarily in Canada. In plain English: at the time of the sale, the company must be using a minimum of 90% of its assets in carrying on an active business in Canada. In other words, if you have more than 10% of the FMV of your corporation in passive assets such as cash, stocks, rental real estate, you may be offside the rule. It is important to note that the Goodwill (which is often the largest asset) of a business will count as an asset used in an active business. However, generally cash, portfolio investments and intercompany loans will not qualify as active assets. This test requires that the shares cannot have been owned by anyone other than the individual or a person or partnership related to the individual, throughout the 24 months immediately preceding the disposition time. The two year test is very confusing. It is a rule that at its core is intended to prevent anyone not related to you from holding the shares within the last two years. However, on one hand the 24 month rule provides for exceptions such as if you transfer a proprietorship or partnership to a corporation, yet if you incorporate a new company and hold the shares less than 24 months, you will be disqualified. In plain English: in most cases you will be required to have held the shares two years prior to the sale. If you thought the above rules were complicated, this test makes the other rules seem simple. In plain English: at least 50% of the company’s assets must have been used in an active business throughout the two-year period prior to sale. Where you have a holding company ("Holdco") or stacked companies (Holdcos owning Holdcos) ultimately owning the shares of an operating company, the threshold percentage for meeting the Holding Period Asset Test may become 90% instead of 50%. These rules are far too complicated to discuss, suffice to say, if you have a chain of companies, at least one of the companies in the chain must meet the 90% threshold percentage over the two-year period. As you can see, the CGE is no gimme. You need to ensure you hold the shares 24 months, at the time of sale 90% of the assets are used in an active business and over the prior 24 months, 50% (in some case 90%) of the FMV of the assets were used in an active business. 1. Since Holdco owns your operating company ("Opco"), you have to sell your holding company shares to a buyer to qualify for the CGE and if you have substantial assets, you need to remove them prior to a sale. This may trigger a substantial tax liability and/or cause the shares to fall offside the QSBC rules. 2. Many people use their Holdco to hold the shares of other corporations. This is very problematic when you want to sell your shares of Company A, but your Holdco not only owns Company A, but also owns shares of Company B and Company C. How do you get the shares of Company B and C out of your Holdco prior to the sale? The answer is - not easily. As I have written in prior blogs, I often suggest rather than automatically interposing a Holdco between you and your Opco, you may wish to consider using a family trust with a corporate beneficiary (a Holdco typically owned by you). 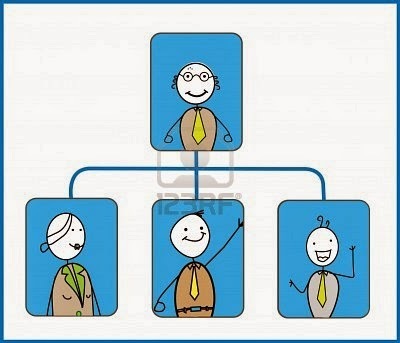 Thus, instead of the cash being plugged up in your Holdco and potentially putting you offside the QSBC rules, your Opco pays a dividend of the excess cash to your family trust which in turn allocates a tax-free dividend (in most cases) to the holding company beneficiary of the family trust. This is a very subtle point, but now instead of having the dual problem of your Holdco company potentially having too many investment assets and/or you needing to sell your Holdco shares to access the capital gains exemption, you can now just sell the Opco shares, as the operating company is owned by the trust. The Holdco company even if it has accumulated substantial assets, is not part of the three CGE tests as it has no direct interest in the company being sold. I have no desire to get into this complicated issue. However, where a Holdco or Opco has other assets such as excess cash, shares in other corporations or real estate that a purchaser does not require, it is often necessary to transfer these assets out of Opco or Holdco (known as purification). This is often done by cross share redemptions that result in dividends. All you need to know for purposes of this post is that if an operating company pays a dividend to another corporation in contemplation of a sale and the dividend exceeds the recipient’s proportionate share of safe income (in very simple terms, retained earnings of the dividend payer) the excess portion becomes a taxable capital gain. This can be very problematic when you are trying to purify your corporation of excess assets prior to the sale to qualify for the CGE and you definitely require your tax advisor's assistance. The Cumulative Net Investment Loss (“CNIL”) account tracks an individual’s net historical investment income. Essentially it is the sum of your investment income, such as interest and dividends, less investment expenses such as interest expense, carrying charges, losses from limited partnerships and resource deductions from flow-through shares. If the cumulative balance is negative, this balance restricts access to the CGE. The negative balance can in many circumstances be eliminated by having your company pay you a dividend prior to any sale, subject to the safe income rules noted above. An Allowable Business Investment Loss (“ABIL”) typically results from capital losses on shares and debt in private Canadian corporations. 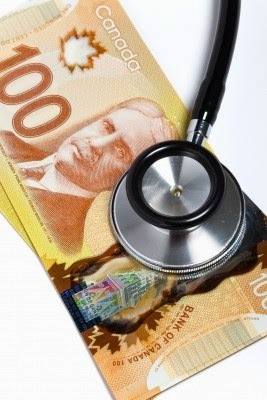 If an individual has realized an ABIL in a prior year, it will reduce his or her CGE available to claim. Thus, you need to confirm if you have ever made such a claim prior to utilizing your CGE. This issue is way beyond the scope of this article, however, where it is reasonable to conclude that a significant portion of the gain is attributable to the fact that a minimum amount of dividends has not been paid annually on any class of shares in the corporation, other than classes of "prescribed shares”, the CGE can also be restricted. Ask your accountant if this is an issue for you. Prudent planning would suggest that you and your advisor consider these rules far in advance of any potential sale, so you can monitor whether your corporation is onside the rules. Where the corporation falls offside you can “purify” the corporation of any offending assets. Purification should be ongoing, because if you have to purify at the last minute, there is a good chance you will not meet the various criteria to qualify for the exemption. If you are still with me, I am sure you will agree that you should never assume your corporation’s shares will qualify for the CGE. The morass of rules requires you and your advisors to carefully navigate the rules to ensure your shares will qualify when you decide to sell your corporation. Last year I wrote several times about the onerous requirements proposed by the Canada Revenue Agency (“CRA”) in respect of Foreign Reporting and the related Form T1135, for taxpayers that held foreign investments with a cost of $100,000 or more. The proposed changes caused a huge compliance issue for financial institutions, accountants and taxpayers alike. As a result, the CRA eased its initial requirements and announced in late February, 2014, that for the 2013 tax year only, taxpayers could elect to report based on much less strict “transitional rules”. 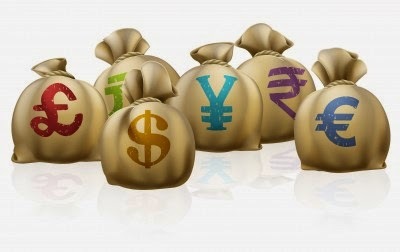 Foreign property held in accounts of Canadian registered securities dealers or a Canadian trust company will have the option of reporting foreign property using the “aggregate reporting method”, whereby the aggregate value of all foreign property in an account is reported rather than reporting the details of each property. If this reporting method is chosen, all property held within a Canadian registered securities dealer or a Canadian trust company must be aggregated on a country-by-country basis. Aggregate totals for the income earned and the gains/losses realized from all dispositions in the tax year must still be reported on a country-by-country basis. For investments which qualify for reporting under the “aggregate reporting method”, the amounts to be reported, on a country-by-country basis, will be the total highest month-end fair market value for the year and the total fair market value at the end of the year. (This is pretty much what the transitional rule was for 2013). The 2013 transitional Form T1135 provided a reporting exclusion if the taxpayer received a T3 or T5 slip from a Canadian issuer in respect of a particular specified foreign property. For 2014 and thereafter, the T3 or T5 slip exclusion has been eliminated, therefore all income will have to be reported regardless of whether a T3 or T5 slip has been issued. Although this exclusion made things easy for some people in 2013, the fair market requirement allows you to basically just review your investment statements for 12 months and report the highest market value and then just report your December 31, 2014 market value. 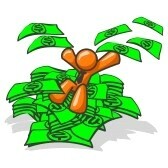 The only time consuming task will be to summarize your income earned and capital gains realized for the year. However, many institutions and investment managers will likely summarize all or most of this information for you. The CRA only accepted the 2013 version of Form T1135 for the 2013 taxation year and the 2014 taxation year until July 31, 2014. The 2014 version of Form T1135 must now be used for 2014 and later tax years. Here is the new version of the T1135. For the "typical Canadian", you will only be concerned with category 7. I have been asked a couple times about the reporting of options for T1135 purposes. 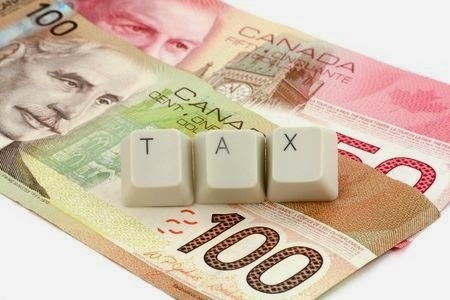 One of my tax managers spoke to a CRA representative and was told that all options (including sold cash secured puts, covered calls, bought and sold in-the-money calls) should be included on Form T1135 under “Category 6 – Other Property Outside Canada” as specified foreign property pursuant to subsection 233.3(1) - “a property that is convertible into, exchangeable for, or confers a right to acquire a property that is Specified Foreign Property”. The CRA representative noted that as of August 1, 2014, these amounts should be reported under the new Category 7 using the aggregate reporting method assuming that the options are held in an account with a Canadian registered securities dealer. Finally, the CRA told us that the cost amount would be the acquisition cost of the option, and not the value of the stock exposure. (Please be advised this is telephone advice and the CRA, Cunningham LLP and myself make no representation as to its accuracy). Just Do It – Write Your Financial Story! What the Heck are You Waiting For? I am back from my summer blogging sabbatical and I am cranky. Not because I worked on my golf game and it is only marginally better. Nope, I am cranky because you, my readers, are listening to my suggestions but you’re not following up on them. So what am I ranting about? Let me tell you. I have written a number of times about ensuring you update or prepare a will, ensuring you have powers of attorney ("POA") for both your financial affairs and health, and have also posted a couple detailed blogs on stress testing your finances should you die suddenly. I have been pleased that many readers, friends, and acquaintances have told me that these posts have been very helpful. I have been delighted when they inform me they intend to take action in getting their financial house in order, to ensure their spouse/partner can carry on somewhat seamlessly should they pass away. The problem is when I see them and ask if they have followed through; the answers I get are either: (a) I have started or (b) it is on my list of things to do. Even financial experts like Ellen Roseman procrastinate. As Ellen wrote in this article, it was her 2013 New Year’s resolution to put her financial house in order. However, six months later Ellen wrote she had made little progress in “writing her financial story”. When I saw Ellen several months later at the Canadian Bloggers Conference, she informed me she still had not completed her New Year’s resolution. I have not spoken to Ellen lately, so she may have completed her task, but it is more fun to use a financial expert as Exhibit A :). Ellen is not alone. A friend of a friend who is a very sophisticated financial person has told me on three different occasions how useful my blogs on this topic were, but yet, each time I ask him about his progress, I get silence. So how do we break this log jam? If you are the financially savvy spouse/partner (in most marriages/relationships, one spouse/partner tends to handle the finances and the other spouse/partner often pays little or no attention to the finances) how about asking your spouse/partner tonight at dinner if you were to die suddenly, would he/she know where your will is, what assets you have, where to find the insurance, any of the passwords to your financial accounts, etc.? I would suspect the answer is no (after they blame you for ruining their dinner). Now sit back and think for a minute… not only will your family be in mourning (unless they are hoverers), but consider the financial and emotional stress you will be putting your spouse/partner under as they attempt to untangle your financial web. There a four key components to getting your house in order. 1. Discuss – Sit down with your spouse/partner and discuss whether your will(s) reflect your current financial situation and life realities. Determine what awareness they have of your financial situation and how easily they/you could carry on if you/they passed away. 2. Dig – Go through all your financial documents and pull together information in respect of your bank accounts, insurance policies, investment accounts, assets, passwords, loans and LOCs etc. 3. Document – Document the above in one location, be it your safety deposit box, a safe or via one of the Internet vaults. 4. Update – Some of you may be sitting back smugly saying “I have done this already Mark”. However, this is an ongoing process. You need to update your financial story annually. I know this because I updated my list six months ago and recently noticed that five passwords had to be changed because sites were compromised, or I was required to change passwords. I also moved some assets around to new locations. If I have not guilted you into action, I am not sure what else I can do. All other alternatives I can offer you allow you to procrastinate, so I am not sure they will help. Writing your financial story, as penned by Ellen, is vital. 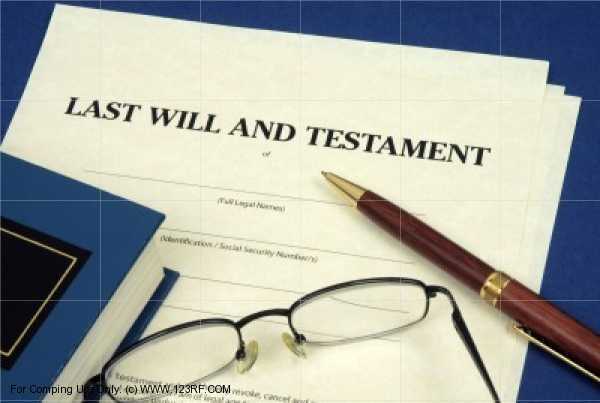 I truly urge you at minimum to update your will(s), ensure you have POAs and create a list of your financial assets, life insurance, passwords, etc. If you do not do this, your family may not only face a devastating loss if you were to pass away, but a financial nightmare. Tax Girl - Written by Kelly Phillips Erb of Forbes Magazine. Joe Taxpayer - Written by an everyday Joe, who likes numbers. 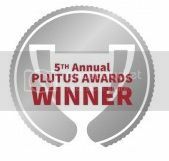 TaxProfBlog - Edited/written by Paul L. Caron of Pepperdine University School of Law. The Wandering Tax Pro -Written by 40 year tax preparer Robert Flack. Got to love this guy. 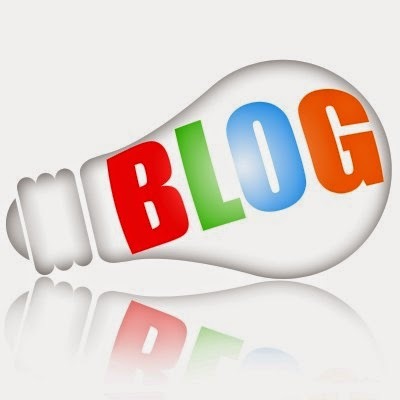 On his site it says " Before contacting me with questions about how a blog post relates to your specific situation, please be aware that I do not give free tax advice to non-clients by e-mail, comment response, or phone. So don't waste your time". 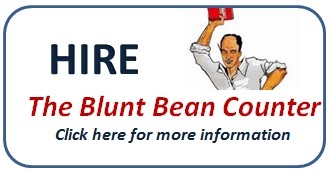 Now this guy should be called The Blunt Bean Counter!